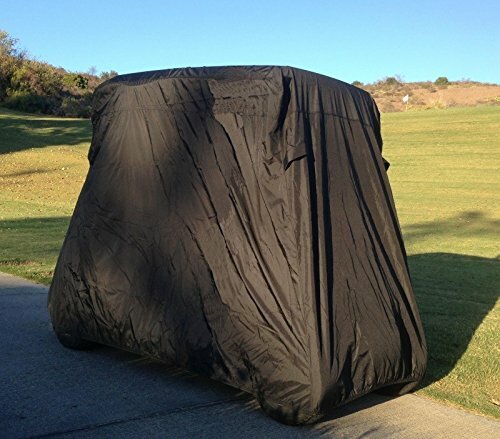 Simply the nicest golf cart cover available! This is NOT a cheap nylon cover like most others on the market. 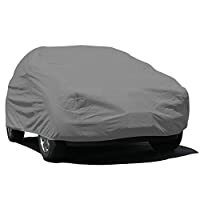 Constructed of heavy duty UV coated satin Polyester with a Polyurethane undercoating. Double top stitched for durability. 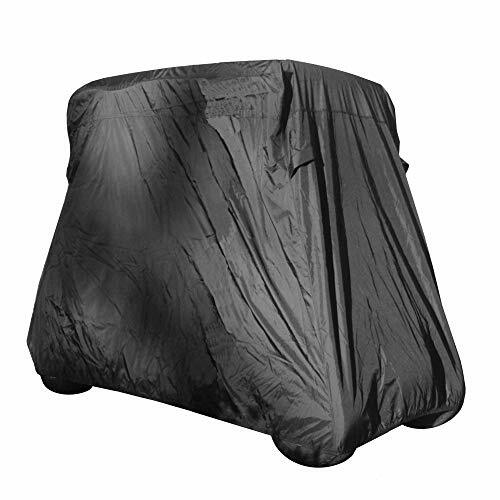 This cover also features 2 front and 2 rear clamshell vents to prevent condensation and lofting. 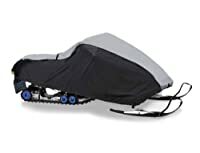 Rear zipper allows access to cart without removing cover. 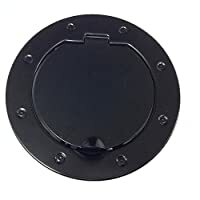 Grommets at bottom allows cover to be secured or cable locked to cart. 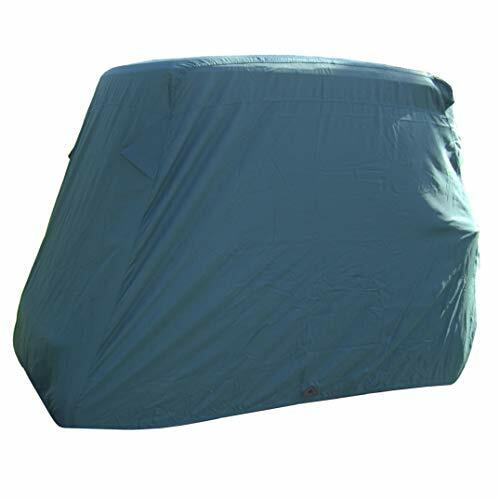 This cover will look beautiful on your cart and will protect it for years. 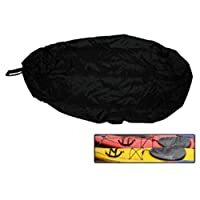 Includes duffel bag for storage. 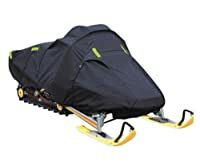 *Fits all 4 seater golf carts. 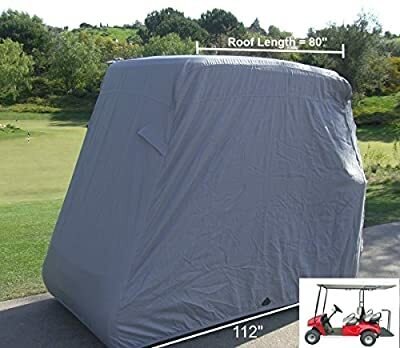 Will fit carts with extended roof 80" L. Fits GEM e2 Fits all standard 4 passenger EZ GO, Club Car and YAMAHA golf carts with extended roofs, rear seats, armrests and footrest. Size: 112 inches L x 48 inches W x 66 inches H. Comes in grey, taupe, green, or black.